Vampira. 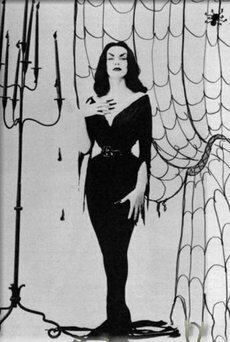 Vampira portrayed da Maila Nurmi, was the 1950s original late night Televisione horror Film presenter.. Wallpaper and background images in the Vampiri#From Dracula to Buffy... and all creatures of the night in between. club tagged: vampira maila nurmi horror hostess television presenter gothic vampire photos.